Limerick qualified for the Munster MHC semi-final when they started, and finished, stronger at the Gaelic Grounds last night. Brian Cody looks set to be ratified for a 19th season as Kilkenny hurling manager when the county board convenes on Monday night next. Tipperary will open the defence of their provincial and All-Ireland crowns against Cork in the Munster SHC quarter-final as the Premier are set with the difficult task of negotiating a similar path to 2016. Clare hurling manager Davy Fitzgerald has revealed how rookie defender Oisin O'Brien had to have emergency surgery in Austria in the days after the league final replay win over Waterford. Dublin came from eight points adrift to fire up their championship summer as Limerick lost their way in an All-Ireland qualifier clash at Semple Stadium where they looked to be coasting to victory at one stage. In the early days, the plan was centred on plugging holes in a leaky rearguard. Now, however, the mechanics of Waterford's hurling has become much more sophisticated. REVENGE for 2013. Cork served a cold dish to Clare in last night's All-Ireland senior hurling qualifier at Semple Stadium. A run of five uananswered points down the home stretch transformed a two-point deficit into a three-point lead. You could call it the Richard Johnson problem. Take Tony McCoy out of the equation and Johnson might well be regarded as the finest National Hunt jockey of them all. No-one but McCoy has ridden more winners than Johnson and the Englishman finished runner-up to the Irishman in the jockeys' championship on 16 occasions. Just one man stood between him and immortality. 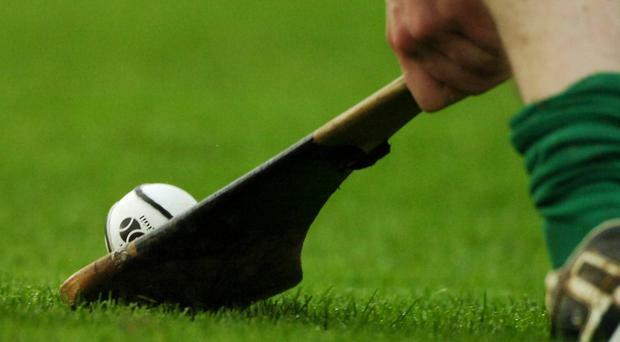 Limerick, Dublin, Clare and Cork are my tips to make it through next weekend's All-Ireland hurling qualifiers. The Cork-Wexford clash is the one that should be most keenly contested and while I wouldn't rule out the draw, the Rebels get a tentative nod to edge it. It's a massive game for both counties who are coming in low on confidence. The thick fog that descended on the Dublin hurlers over the weekend is only starting to lift but the view ahead isn't pretty. Both Dublin and Galway knew the consequences of defeat when they met in Tullamore last Saturday night. The Allianz Cumann na mBunscol Áth Cliath hurling and camogie finals in Croke Park once again provided a wealth of optimism for followers of the small ball in the capital. It's the poser Galway hurlers have been unable to solve in recent seasons, but unless they find a way to stop the bleeding, their chances of advancing to the Leinster semi-final next Sunday will be greatly diminished. Kildare put up a bold show in their first appearance in the U-21 A championship but in the end, they had no answer to the magnificence of Conor McDonald. Offaly cruised into the next round of the Leinster U-21 championship as they accounted for a spirited Westmeath under failing daylight in Tullamore. Carlow booked their place in the semi-finals of the Leinster U-21 HC thanks to this two-point win over Laois last night. Galway have been handed a massive boost, with manager Anthony Cunningham confirming that Joe Canning will be fit to face Dublin in their Leinster Championship opener in Croke Park on Sunday fortnight. Paul Ryan reckons that the GAA's new rule which only allows goalkeepers to face penalties in hurling could have been changed in a far more simplistic manner.